Cable Trays are support systems used in building electrical wiring. These cable support systems are commonly used to support insulated power and communication cables. Cable trays provide a more preferable alternative to electrical conduit systems and open wiring. Cable tray systems are generally capable of supporting high-voltage power lines, sensitive control wiring, optical cables, power distribution cables, and telecommunication wiring. Cable trays are commonly used in commercial and industrial buildings for cable management and in situations where timely changes in cables and wiring are required. There are several types of cable trays, with variations in design, material, and type of finishing, which are used in different applications. Most cable trays are fabricated using corrosion-resistant materials, usually, metals like stainless steel, low-carbon steel or aluminium alloys or are provided with a finish that is corrosion-resistive. The type of material or type of tray depends particularly on the environment where the system is to be installed and the cost of the system. Highly corrosive environments would require trays with high resistance to corrosion and rust, which indoor and less corrosive environments would require simple trays with a protective finish. Cable trays can be classified into six basic types, namely ladder type trays, solid bottom trays, wire mesh trays, trough trays, single rail tray, channel tray. Ladder type trays are the most commonly used type of cable tray system, used for long intermediate support applications. Solid bottom trays are used for telecommunication or minimal heat generation applications and to provide effective protective shielding for sensitive circuits. Trough trays are commonly used for heat generating applications, with moderate ventilation and spaced bottom cable support configuration. Wire mesh trays are used to support telecommunication cables and fiber optic cables, while single rail trays are used to support low-voltage power cables. There is a wide availability of all kinds of cable trays in the UAE, with a large number of importers, stockists, and suppliers. 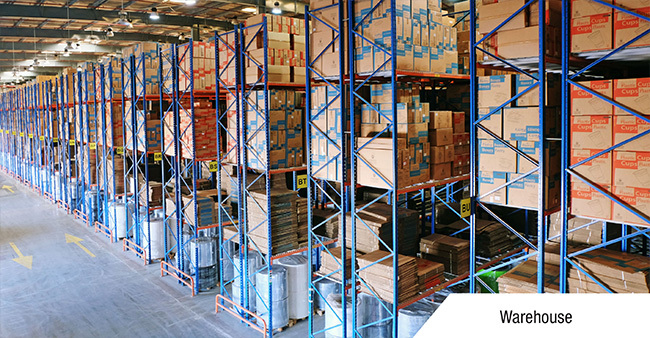 These stockists and suppliers cater to various customers, mainly in the construction field, across the UAE, with businesses set up at places like Al Ghail Free Zone in RAK, Al Nahda in Sharjah and Al Burj Street in Dubai.